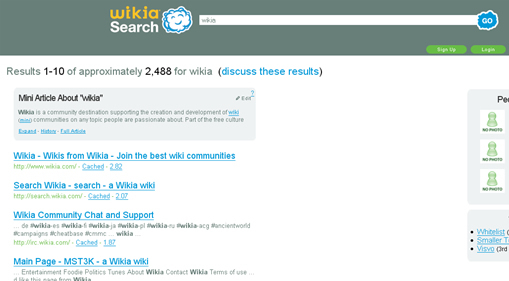 Wikipedia founder Jimmy Wales launched the alpha release of much waited search engine Wikia. Everyone is reporting that it is bad, of course this is just an alpha release so things may change later. As of now the search results are poor, search wikia agrees with it. As of now there is nothing great about this to discuss. There is a social feature around this search engine, but we have so many social networks who needs another search engine. Search wikia expects that if more users will use the search get feedback then it will improve. But now a days who has time to invest in making the search engine better.